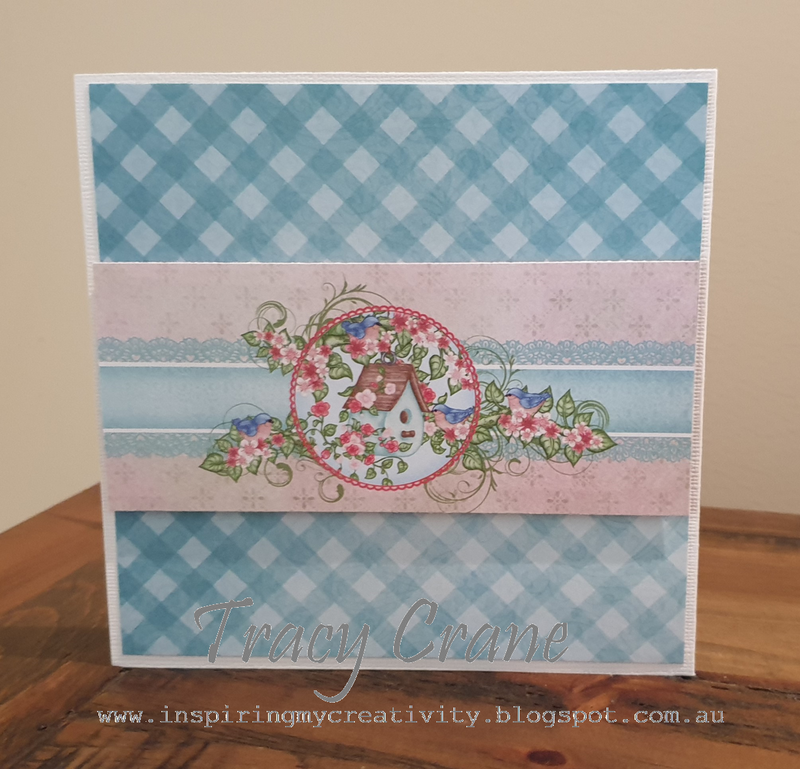 On the Heartfelt Creations blog today is the NEW!! Sugarspun collection. 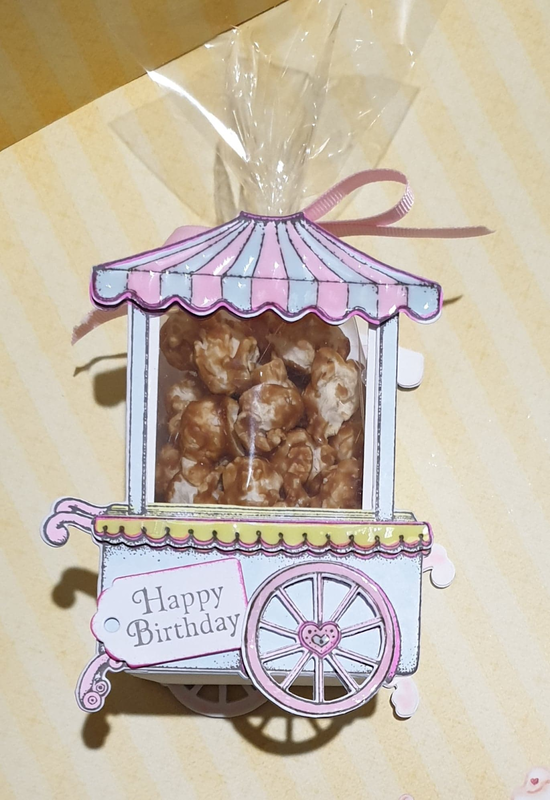 Hope you enjoy my Popcorn Treat box. 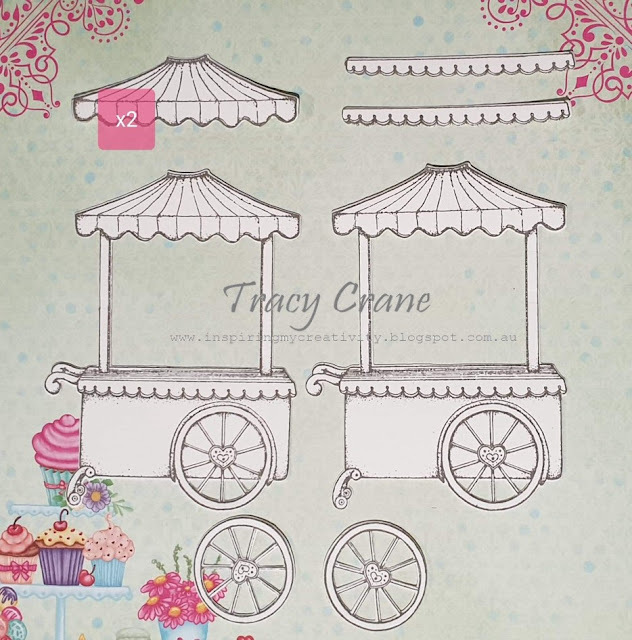 Using your Sweet Shoppe stamp set, stamp your shoppe and wheels twice using your Espresso Truffle ink on copic blending card. Stamp the shoppe 2 more times to cut out extra trims. Die cut your shoppes out using the coordinating die. Trim of the two roof sections and using the scallop trim die cut 2 trims. You will end up with 2 full shoppes, 2 roof trims, 2 scallop trims and 2 wheels. Using the shoppe die cut our 2 plain die cuts, you will adhere these to the back of the stamped images to strengthen your treat box. Color you stamped images using copics. Roof trim stripes BG000, RV02, edge roof trim in RV04, shoppe base BG000, shoppe trim Y04 and edged in RV04, shoppe handles and feet RV02, wheel trim RV04, wheel inner RV02, heart BG000,outer heart RV02, trim around the heart RV04. 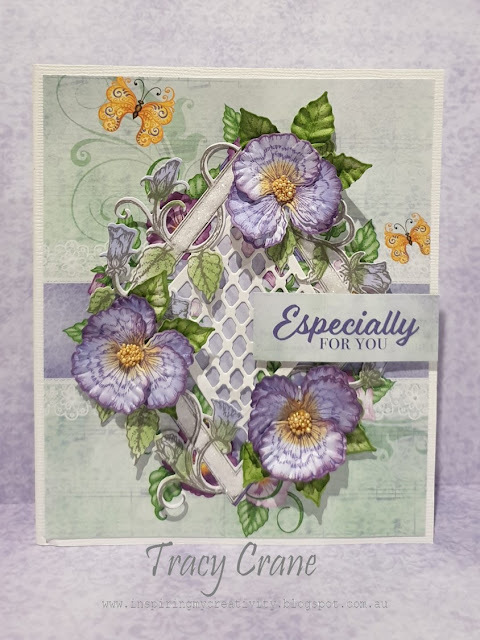 Using your Special Birthday Sentiment Stamp set, stamp your "happy birthday" using espresso truffle, did cut with tag die from your ornamental tag die set. Ink the edge using your archival fuchsia ink. 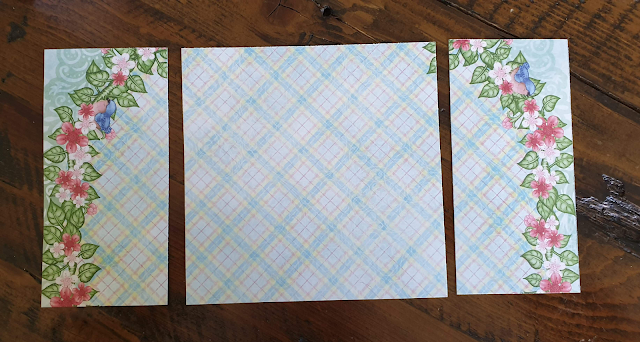 Cut your inner treat box - Trim your white cardstock to 10 1/2" x 3", using a score pal score the long edge in 1/4" on the left and the right. Now score at the 4" ink mark on the left and the 4" mark on the right, this will leave you 2 1/2" in the middle. 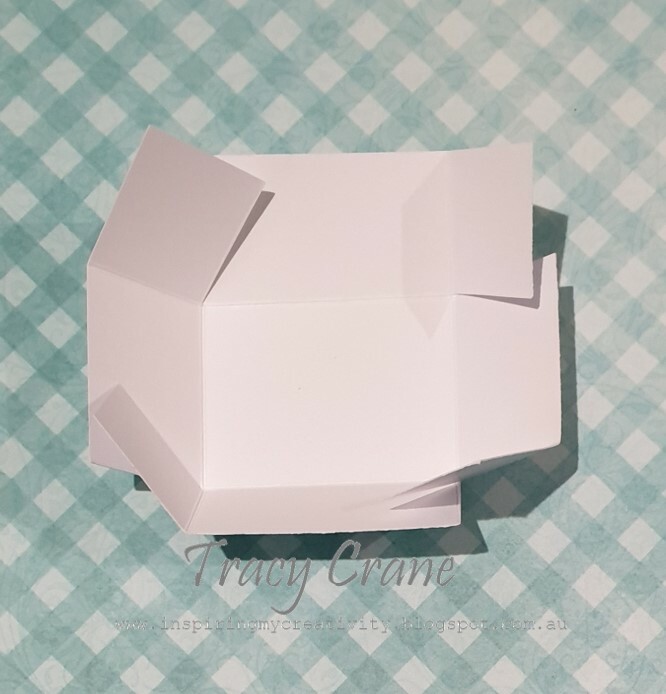 Place a small cut line where your score marks over lap and fold in to make a U shape, when dry cut 2 acetate mats 4" x 2 1/2" and glue on the insides of your white base to create the inner box of your treat box. Glue your shoppe image to the front of the box, you will get a slightly larger frame on the inner box. Do the same with the back of the box. The front and back will be facing opposite directions, this is ok it will make the box stand up better. Using 3d dots adhere your striped roof, scalloped trim and wheels. Using 3d dots adhere you sentiment in the bottom left corner. 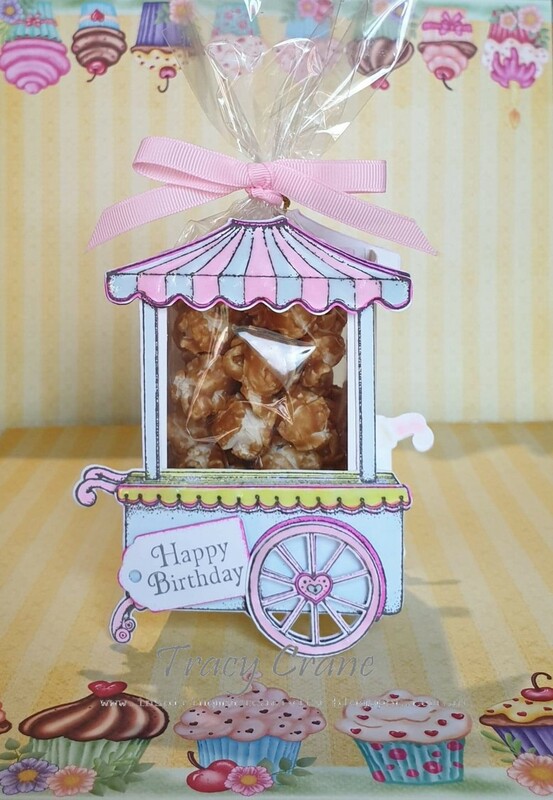 Fill a clear cello bag with popcorn or treats of your choice, tie a matching ribbon around top so the bow lines up with the top of your treat box. Apply glossy accent to the trims - roof, scalloped trim and the wheels. Hope you enjoyed my treat box. New on the Heartfelt Blog today. 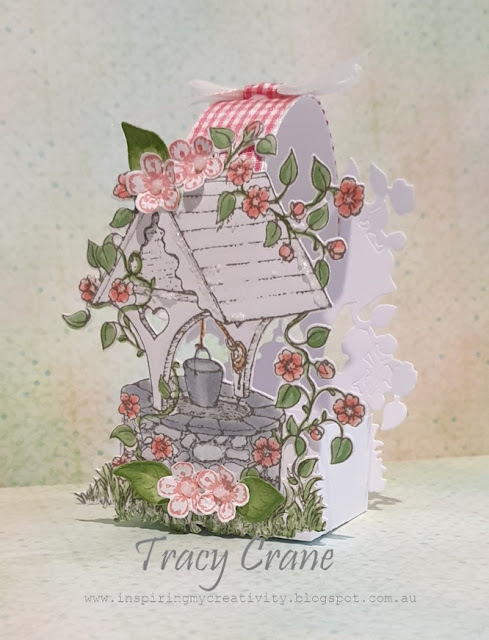 My Cherry Blossom Wishing Well treat Box. Using your Rouge ink stamp your small Cherry Blossoms, as it is pigment ink heat set or set aside to dry before cutting with coordinating die. Stamp your leaves using Bamboo Leaves ink and color with the same ink, cut with coordinating die. Highlight with same ink. Lightly mist with water and shape in your 3D Cherry Blossom Shaping Mold. Stamp your wishing well using Versafine Smokey Gray ink. Die cut with coordinating Die. Die cut 1 outline with the same die. Color your stamped image using copic or markers or pencils of choice. Cherry Blossoms R20, R22. Leaves G21,G24. Highlight Roof C00. Well/bucket combination of C00,C1,C2,C3. Rope E33. Cut 1 white strip 3/4" x 3". Adhere gingham ribbon along the strip. Cut your box mat 3" x 4" and place a bone fold line at 1" around each side. Fold along the lines. Cut a slit in each corner. Apply a little glue and fold the box together. Adhere the wishing wells to the front and back of your box. Adhere your handle to the front first and use a paper clip to hold in place, when dry repeat with the other side. Adhere 2 Cherry Blossoms/leaves to the top and 2 to the bottom. Decorate with stickles as desired. Highlight the stones and the water and the water inside the bucket with glossy accents. Tie a white bow and use a thin strip of the gingham ribbon to tie around the center section of your bow. Adhere to the top of your handle. Hope you enjoyed my project. New on the Heartfelt Creations blog today. The Cherry Blossom Retreat Wednesday inspiration. Hope you enjoy my card. 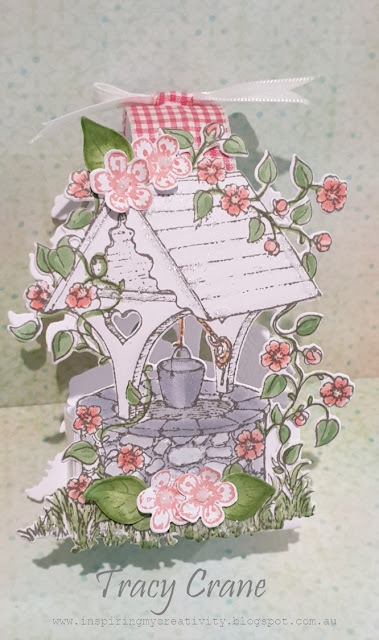 Using your Cherry Blossom stamps, stamp your small and medium blossoms using the Rouge ink, as this is pigment ink, allow to dry and then cut with coordinating dies. Stamp the 2 leaf sprays 3 times using Bamboo leaves ink. Color with same ink and die cut with coordinating die. Lightly spray your blossoms and leaves and shape in the matching 3D shaping mold. Highlight the edges of your leaves using the Bamboo Leaves ink. Using white cardstock cut one lacy diamond die. 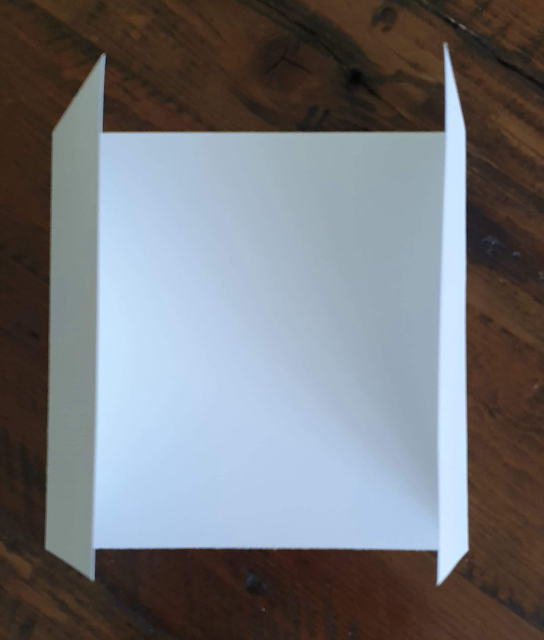 Cut your white cardstock 12" x 6" and fold in half. Cut one white mat 4 1/2" x 4 1/2". Using your Cherry Blossom Paper Collection. Cut your check cardstock into 4 mats 5 3/4" x 5 3/4". To get the front birdhouse strip you will need to use 2 of the same card stock. Cut the birdhouse trim 5 3/4" x 2 1/2". Using your circle die cut the center birdhouse from one of the strips. 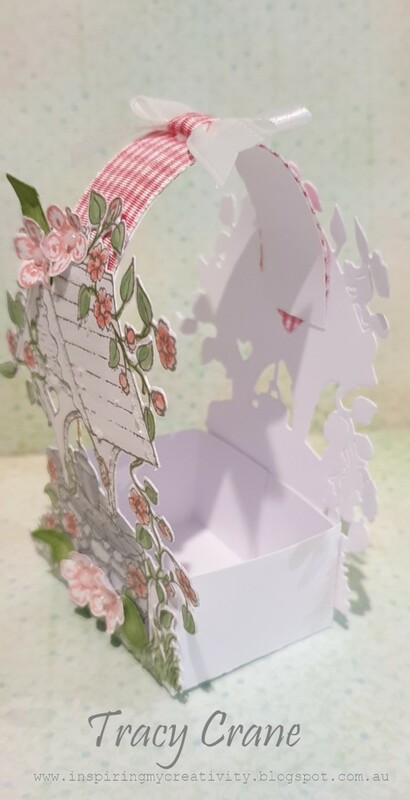 Using the die cut sheet from your paper collection, cut one birdhouse. Card Assembly - Adhere your check mats to all four sides of your card. Adhere you white insert mat to the right hand side. Using your glue adhere your birdhouse in the top left corner of your insert mat. Cut your Lacy Diamond Die in half. Using glue along the long edge adhere your die cut mat evenly to the top and bottom of your card front. Using 3D adhesive adhere your center strip. Using double 3D adhesive adhere your circle birdhouse. 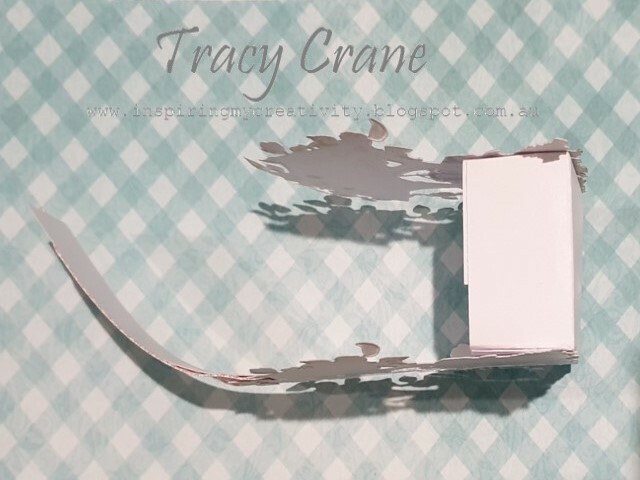 Using 3D adhesive adhere your other birdhouse strip to the back of your card making sure it lines up with the front strip. Adhere your bow to the top center of your card front. Adhere 1 leaf and 1 medium flower to the center of the bow. Adhere 1 medium and 2 small blossoms to the bottom of the birdhouse and 1 leaf spray to each side. Decorate with stickles or glitter of choice as desired. Cherry Blossom Retreat Collection. See the full collection here! 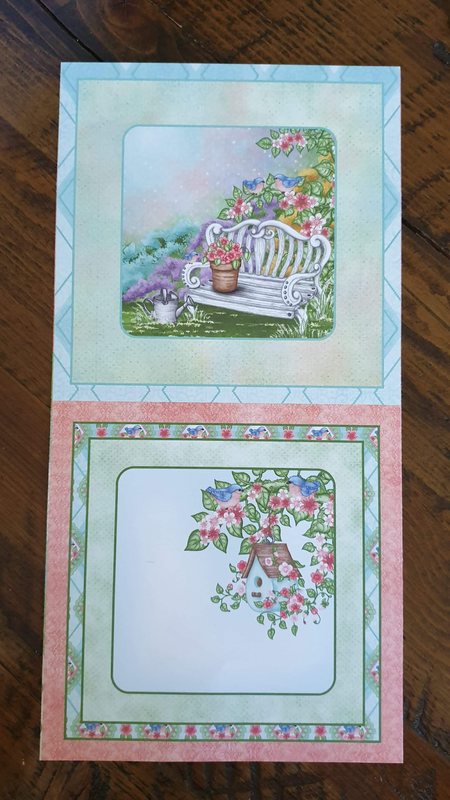 Using your Tweet Cherry Blossoms stamps, stamp 1 of each size using the Rouge ink, this is pigment ink so let it dry before cutting with the coordinating die. Spray lightly with mister and shape in your 3D Cherry Blossom shaping mold. using the Bamboo Leaves ink. Color with the same ink. Cut with coordinating dies. Highlight the edges a little darker with the same ink. Shape with your Deluxe Shaping Tool Kit. Using your Cherry Blossom Retreat stamps, stamp the sentiment banner, color lightly with the Antique Linen ink and cut with coordinating die. Cut your white cardstock 12" x 6". 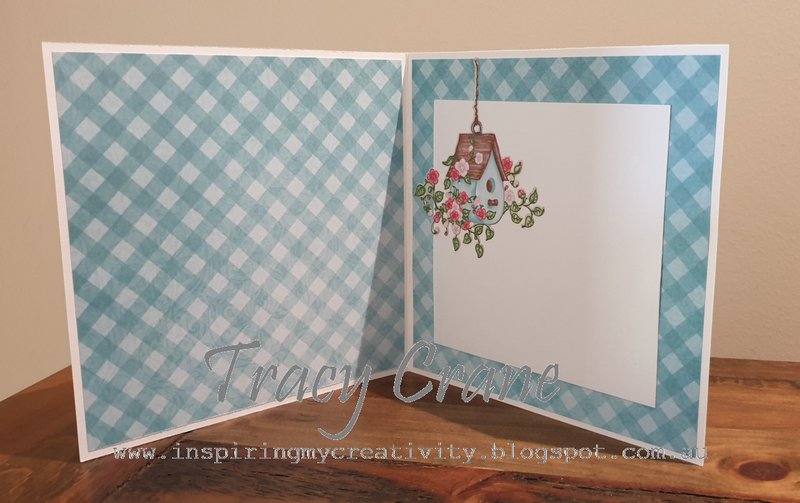 Score on the 3" mark on the left and right hand sides to create a gate fold card. 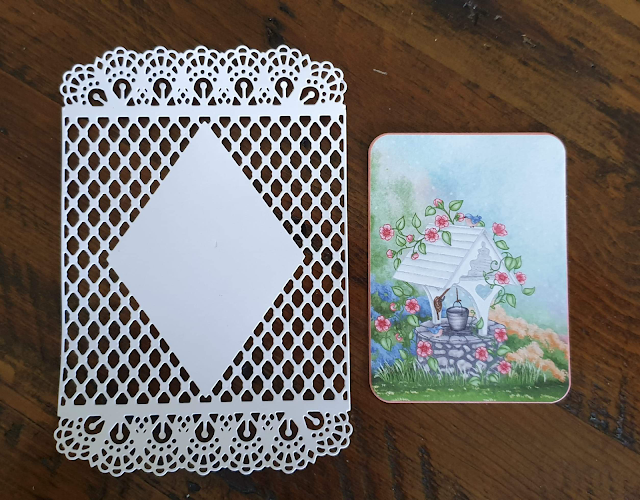 Using white cardstock cut your decorative diamond & lace mat.Using your Cherry Blossom Retreat Paper Pad, cut your front wishing well using the mat using a Cut Mat Create Die. Using 3d dots adhere together. Trim the borders from the cardstock until you are left with the two square front panels, trim down further to measure 5 3/4" wide, turn over so you are using the check side. Trim a mat 2 3/4" from the left and repeat from the right. Card assembly - Adhere your insert mat. Adhere your front left and right mats so that the curved flowers are to the top. Using 3d dots adhere your Diamond & Lace mat to the left hand side of your card front only. Line it up so it sits in the center of your card when closed. Adhere one leaf spray to the left and one to the right of your main front mats and adhere in place with a little glue in a few areas so as to hold firmly in place. Using 3d dots adhere your sentiment. Add a dot of glue at the top of the chain to hold in place. Adhere you flowers as desired or as pictured. Decorate with stickles or glitter of choice. New inspiration on the Heartfelt Creations blog today. 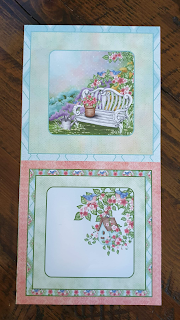 Hope you enjoy my Burst of Spring Card. Using your Sweet Plum ink stamp 3 medium, 1 large and 1 small pansies. Color the centers in Buttercup ink and then the remainder in the Lavender ink. 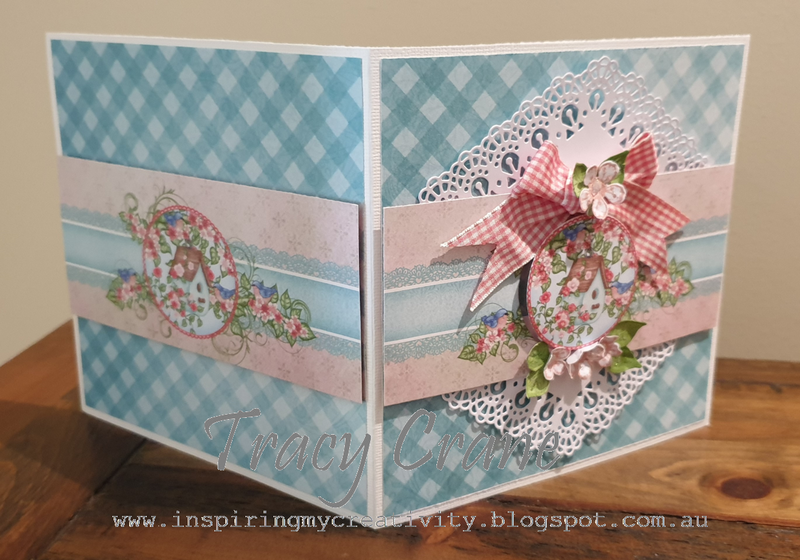 Die cut with coordinating dies. Lightly mist and shape in your 3D Pansy mold. Highlight the edges with the Plumeria Ink. Using your Bamboo leaves ink, stamp 4 small and 1 large leaves and color with the same ink and cut with coordinating dies. Lightly mist and shape in the 3D Pansy mold. Highlight the edges with the same ink. Using Smokey Gray ink, stamp your Petite Pansy Frame and your Burst of spring Flower Spray. Color the leaves with the Bamboo ink and the flowers with the Lavender ink. Cut with coordinating dies. Highlight the frame with the Nuvo Glitter Accents and allow to dry fully. 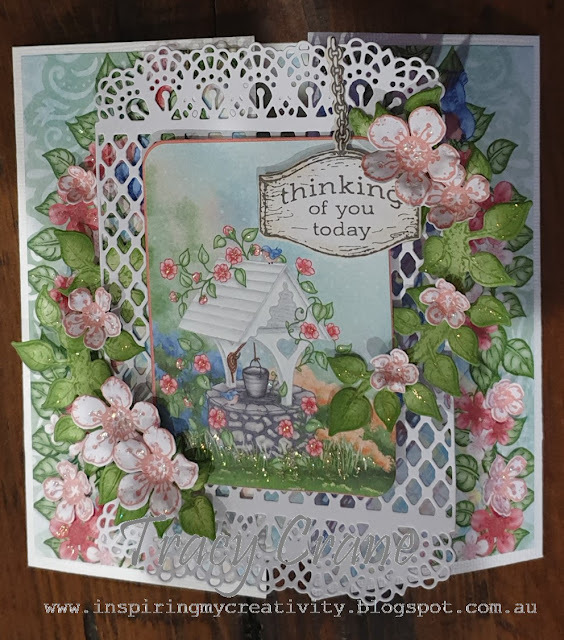 Using white cardstock cut 1 lattice center from your Diamond and Lace Die set. Using white cardstock, cut your card base 11 1/4" x 6 1/4". You are going to put in a binder edge, so bone fold at the 5 1/4" mark and then again 1/2" and this will leave the next panel 5 1/4" wide. When folded give you a binder edge which will allow you to add dimensional flowers on the inside of your card also. 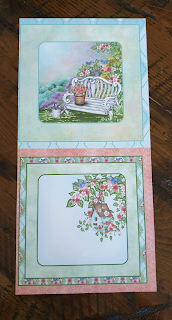 Using your paper collection, cut your mats 1 front, 2 inserts, 1 back) 5"wide x 6 " tall. Cut out the "especially for you" and the "sending love your way" sentiments. Card assembly - Adhere your insert mats. On the left insert panel adhere your Pansy Flower Spray, adhere 1 large leaf and 1 large pansy, using 3d dots adhere your "sending love your way" sentiment. On the right insert panel adhere 1 small leaf and 1 small pansy. Adhere your front and rear mats. Adhere your lattice center. Adhere your pansy frame. Adhere your leaves and pansies over the stamped pansies. Using 3d dots adhere your sentiment. To finish off add prills to your flower centers. 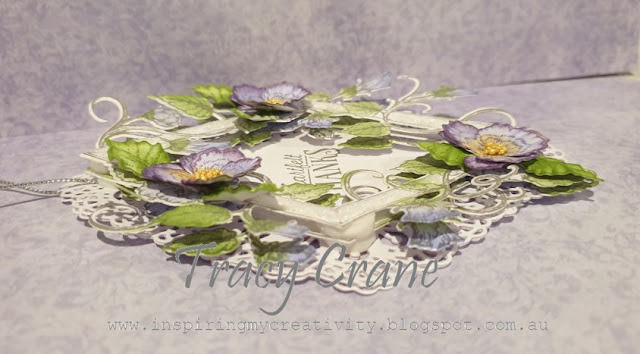 Burst of Spring Gift Tag..
New inspiration on the Heartfelt Creations blog today using the NEW! Burst of Spring Collection. Hope you like my gift tag. 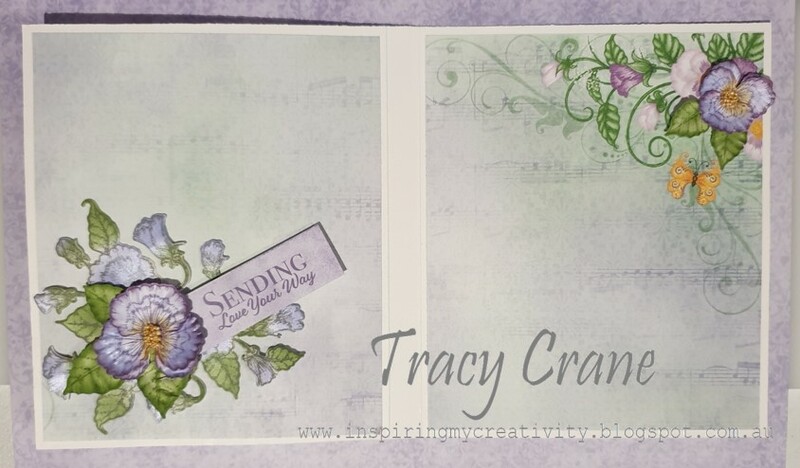 Using your Sweet Plum ink stamp 3 small pansies. Color the centers in Buttercup ink and then the remainder in the Lavender ink. 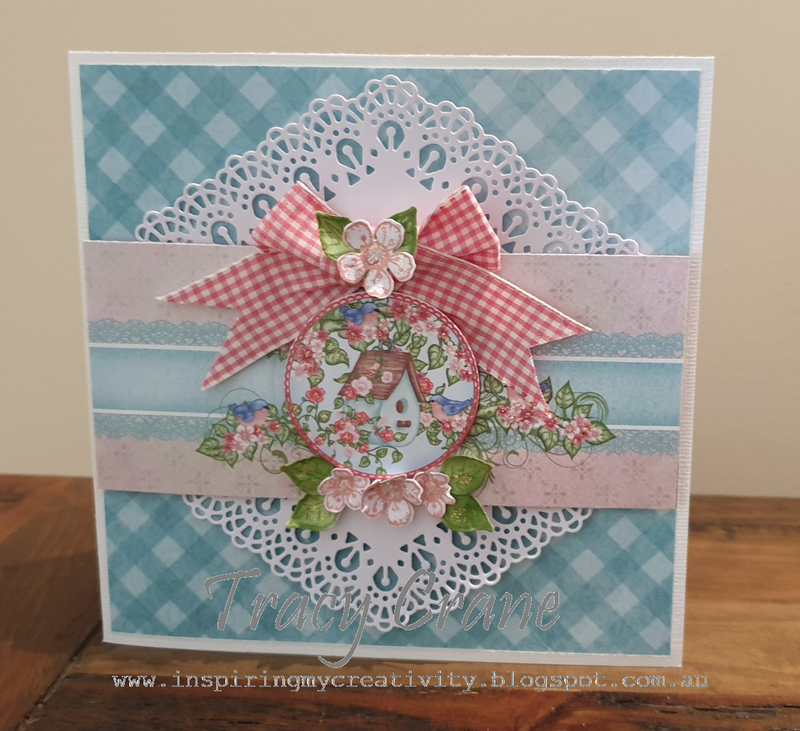 Die cut with coordinating dies. Lightly mist and shape in your 3D Pansy mold. Highlight the edges with the Plumeria Ink. Using your Bamboo leaves ink, stamp 3 small leaves and color with the same ink and cut with coordinating dies. Lightly mist and shape in the 3D Pansy mold. Highlight the edges with the same ink. Using Smokey Gray ink, stamp your Petite Pansy Frame twice. Color the leaves with the Bamboo ink and the flowers with the Lavender ink. Cut with coordinating dies. Highlight the frame with the Nuvo Glitter Accents and allow to dry fully. 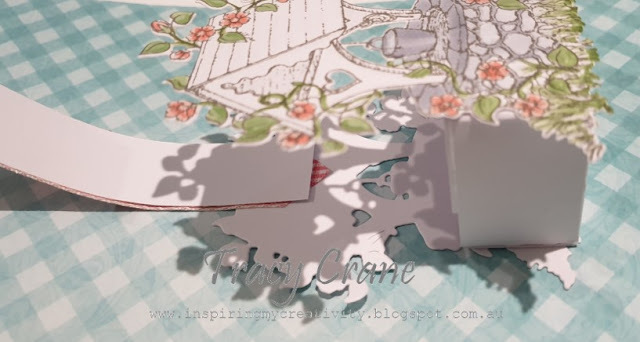 Using white cardstock cut 2 intricate die cuts with your Diamond and Lace Die set. 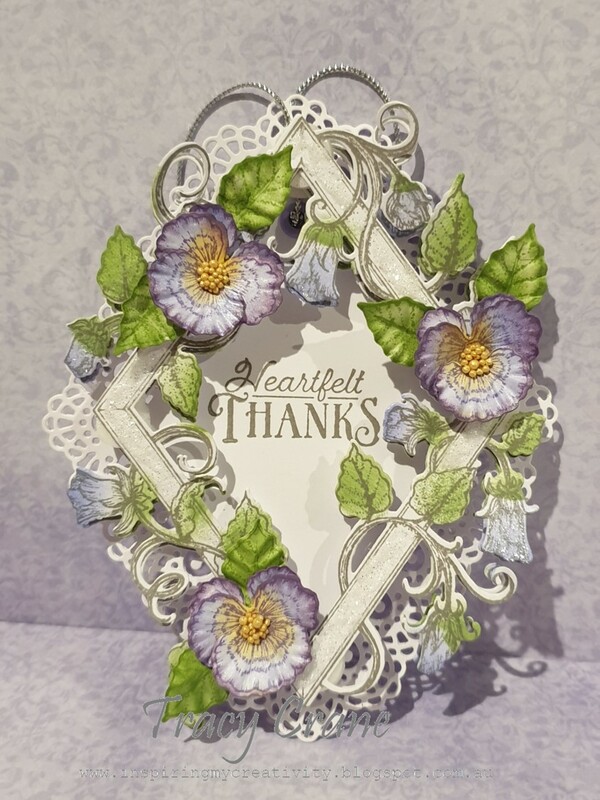 Line your Pansy frame up over your Diamonds and Lace die cut and using your Smokey Gray ink stamp your "Heartfelt Thanks' sentiment. Tag Assembly - Apply an eyelet to the top of your Diamonds and lace die cut. Tie silver twine through to create a hanger. Adhere the second Diamonds and lace die cut over the top to secure your hanger and make your overall tag stronger. Using 3d dots adhere your first frame and using 3d dots again adhere your second frame. Adhere your leaf first and then your pansy over the full flowers, add your prills to finish. New inspiration on the Heartfelt Creations blog today. The NEW!! Burst of Spring Collection. 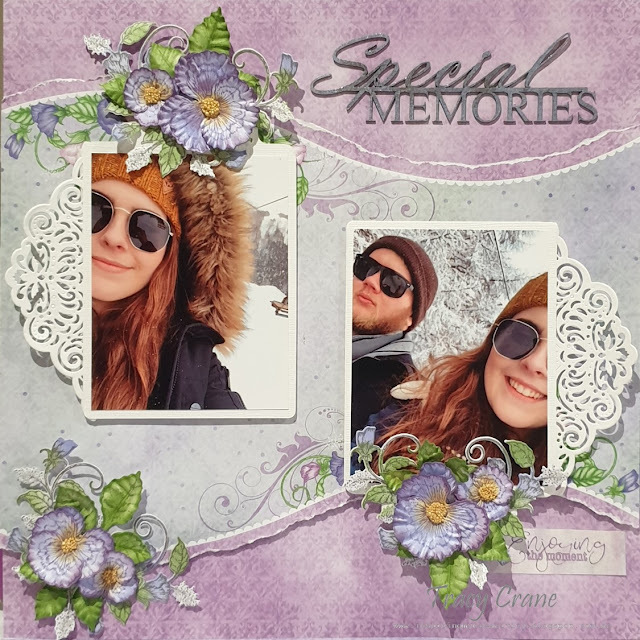 Hope you like my Special Memories Layout. Using your Sweet Plum ink stamp your pansies in varying sizes. Color the centers in Buttercup ink and then the remainder in the Lavender ink. 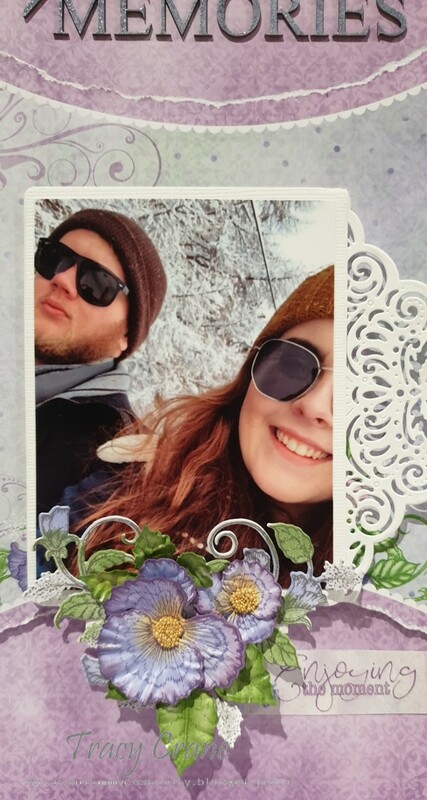 Die cut with coordinating dies. Lightly mist and shape in your 3D Pansy mold. Highlight the edges with the Plumeria Ink. Using your Bamboo leaves ink, stamp your leaves in varying sizes and color with the same ink and cut with coordinating dies. Lightly mist and shape in the 3D Pansy mold. Highlight the edges with the same ink. Using Smokey Gray ink, stamp your Delicate Pansy sprays 3 in total, 2 of left spray and 1 of right spray. Color the leaves with the Bamboo ink and the flowers with the Lavender ink. Cut with coordinating dies. Highlight the spray with the Nuvo Glitter Accents. Using white cardstock cut 2 large tags from your Alum Tags and Accents Die. Using white cardstock cut 2 intricate die cuts with your Elegant Pockets Accents Die. 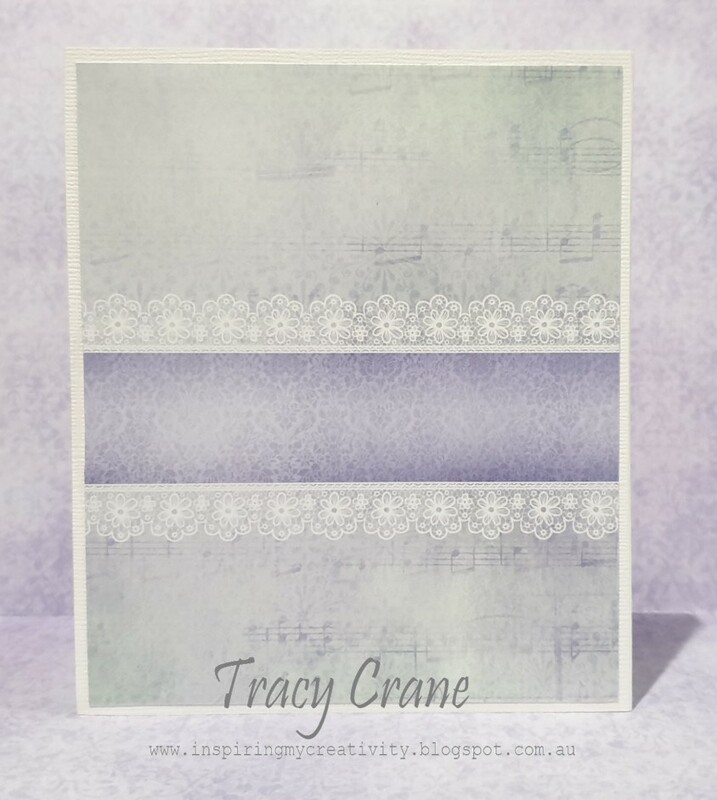 Using your Lavender ink, ink your chipboard heading, cover in clear embossing powder and heart emboss. 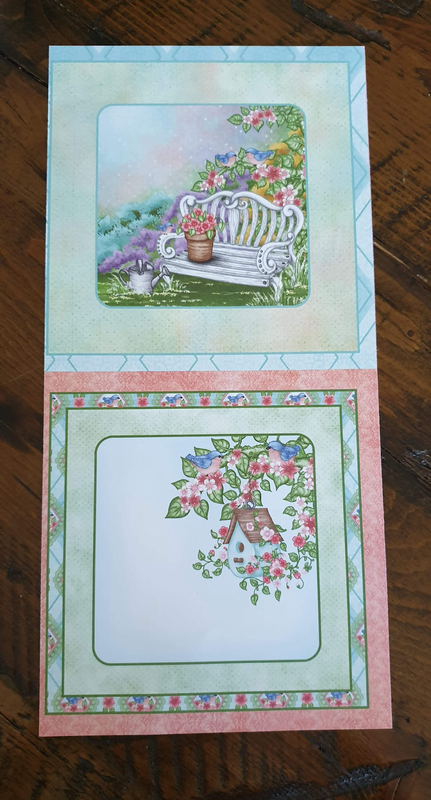 From your Burst of Spring Paper Collection choose the selected cardstock, you will be using both sheets. You will be tearing the center section from your first sheet. TIP: Use a water brush run a line just above the patterned area, this will wet your paper and make it easier to tear. Tear along the same section of the curve, repeat with the bottom curved section. 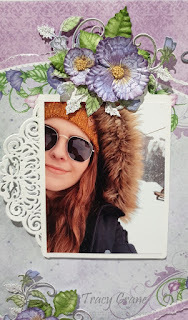 Cut out the enjoying this moment tag. Layout Assembly - Using 3d adhesive adhere your center section. Using glue adhere your intricate die cut to the left side of your tag with the decorative top facing upwards. Using 3d adhesive adhere your tag facing up to the left side of your layout. Using glue adhere your intricate die cut to the left side of your tag facing upwards. Adhere your tag facing down on the right side of your layout (so when adhered in place you will have the intricate dies one facing to the left and one facing to the right). Adhere your pictures on your tags. Adhere your first pansy spray to the top of the left tag, with the flourish facing upwards, add one large and one small leaf spray and then 1 large and 1 small pansy as pictured. Repeat with the bottom of the right tag. Adhere the third spray in the bottom left corner, so the flourish in facing out of the corner, adhere 1 large and one small leaf spray and then 1 medium and 1 small pansy. Add prills to all your pansy centers. Adhere your heading using dries clear adhesive. Add your "enjoying this moment" tag in the bottom right corner under your pansy spray.